Beautiful Ornament! 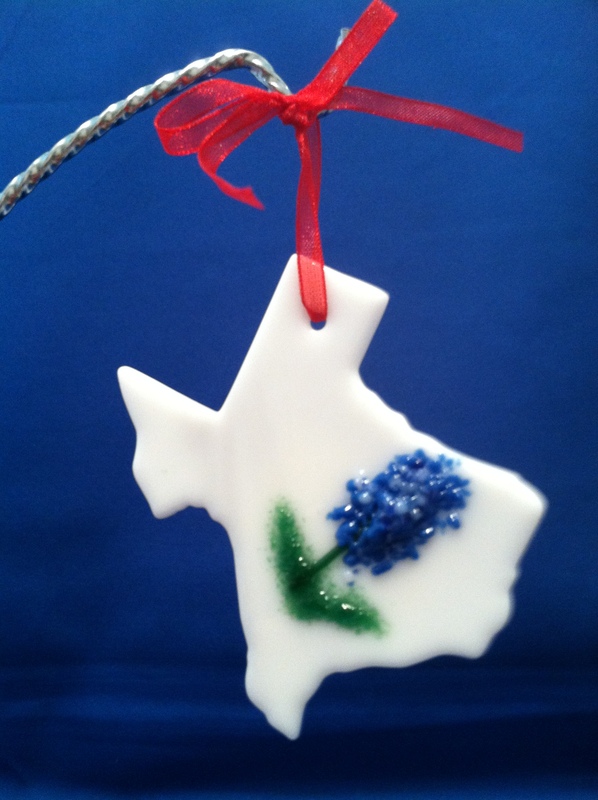 White Texas with a Bluebonnet overlay. Great gift idea! You personalize the back with date or name! They sell for $14.95. Call to order or for more information (713) 899-0933. This entry was posted on October 1, 2012 by alliekayglass. It was filed under Stained Glass and was tagged with Bluebonnet, Glass, ornament, stained, Texas. What is the pricing of Texas star beveled glass for a window. Dimensions 18″x35″.